Thousands take part in Tax March to demand Donald Trump release returns. 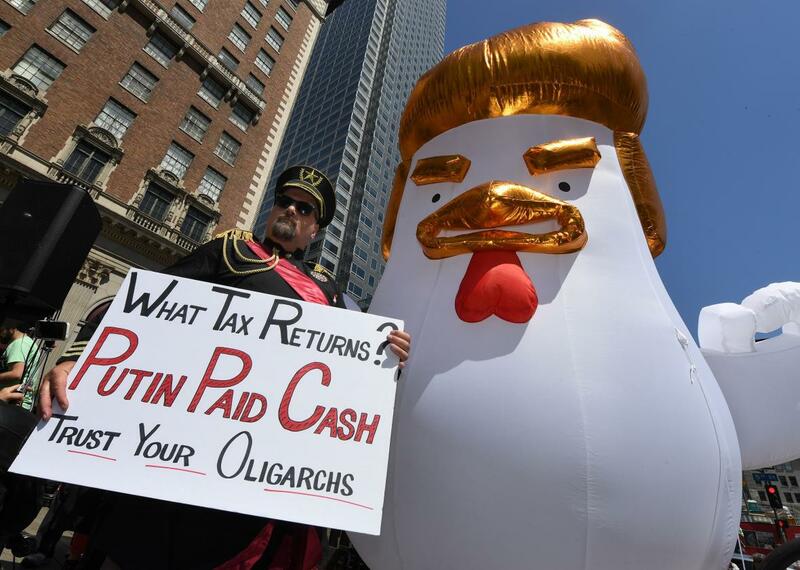 Mike Stutz dressed as a Russian general stands beside a giant Trump chicken as he joins protestors taking part in the “Tax March” to call on President Donald Trump to release his tax records in Los Angeles, California on April 15, 2017. 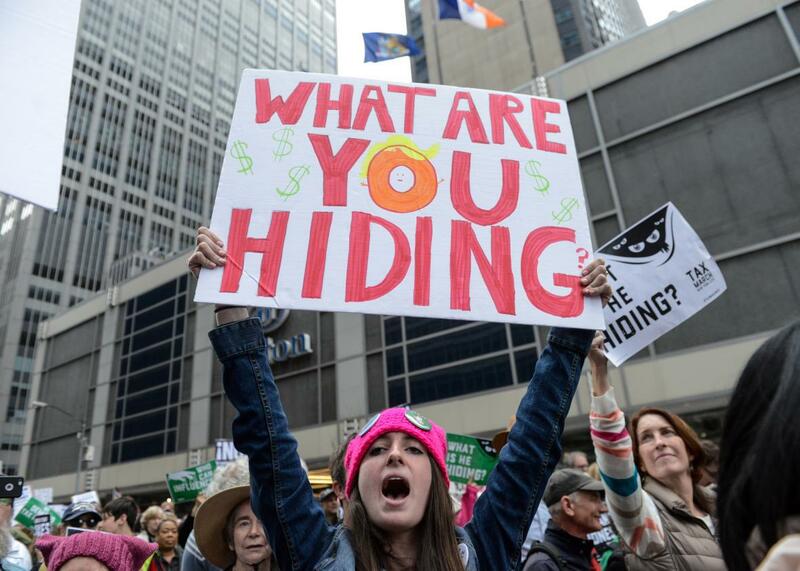 Protesters gathered in dozens of U.S. cities on Saturday as part of a “Tax March,” in which people demanded that President Donald Trump release his tax returns. 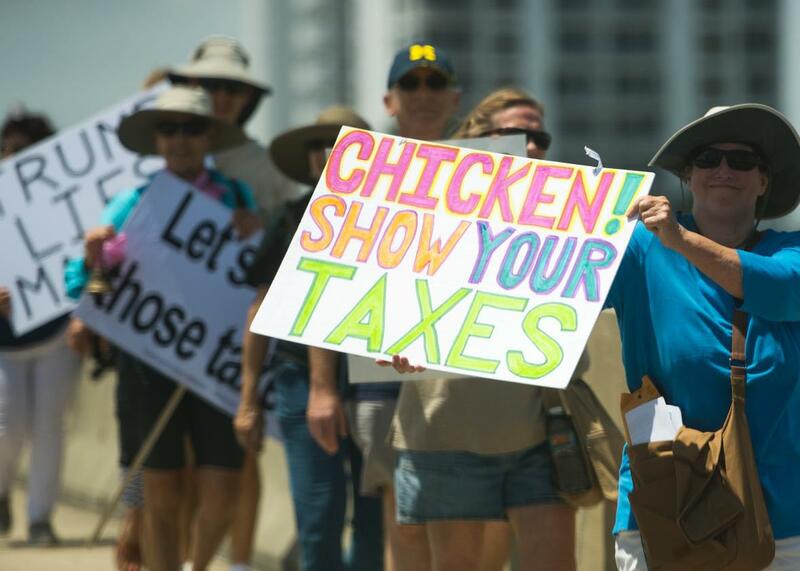 The march took place on April 15, traditionally the deadline to file U.S. federal tax returns. Organizers claimed more than 180 events were planned across 48 states in an effort to counter Trump’s frequent assertions that nobody cares about his tax return. 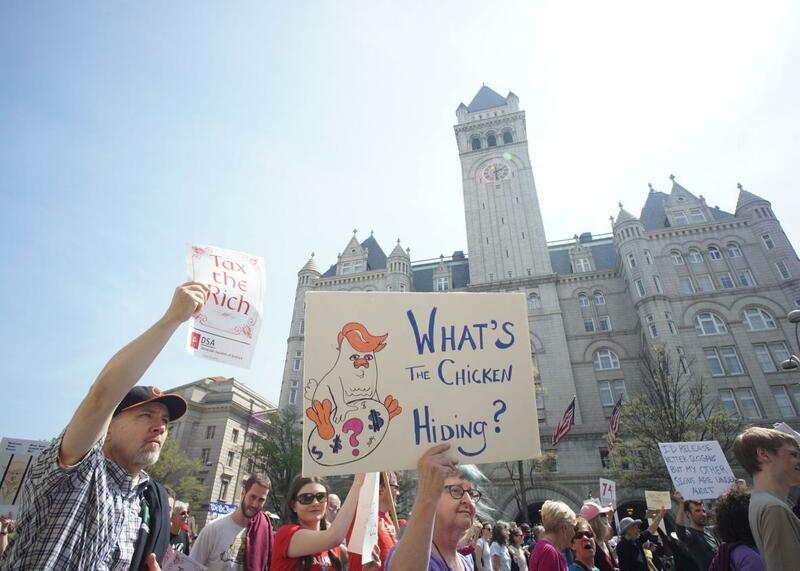 Protesters walk by the Trump hotel during the “Tax March” on April 15, 2017 in Washington, D.C.
One of the largest rallies took place in Washington, D.C., where protesters gathered in front of the Capitol before marching along Pennsylvania Avenue. In Florida, marchers gathered at Trump’s Mar-a-Lago resort. There were also large rallies in New York and Los Angeles. People participate in a Tax Day protest on April 15, 2017 in New York City. 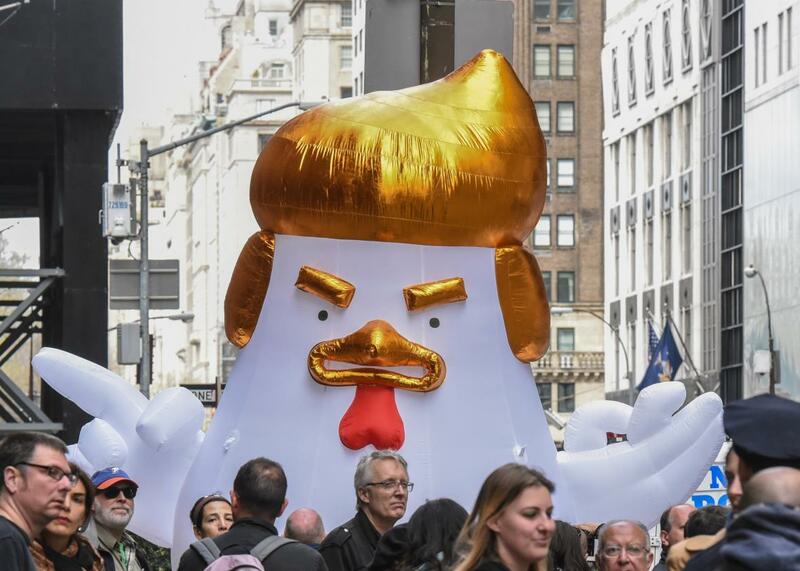 The symbol of this protest was a giant inflatable chicken that has hair sort of reminiscent to Trump and implies the president is too chicken to release his taxes. Despite the White House’s frequent insistence that the American people don’t care about the issue, a January Pew Research Center poll found that more than two-thirds of Americans believe the president should release his tax return. Protesters hold up placards outside the Mar-a-Lago estate to call on President Donald Trump to release his tax records as they cross the bridge into Palm Beach, Florida on April 15, 2017. The protests were largely peaceful, in contrast with the clashes that broke out in Berkeley, California between Trump supporters and opponents. At least 12 people were arrested at the event that had been organized by conservative activists.